With the school soon to become an academy, it was time for a new web site and some new branding. 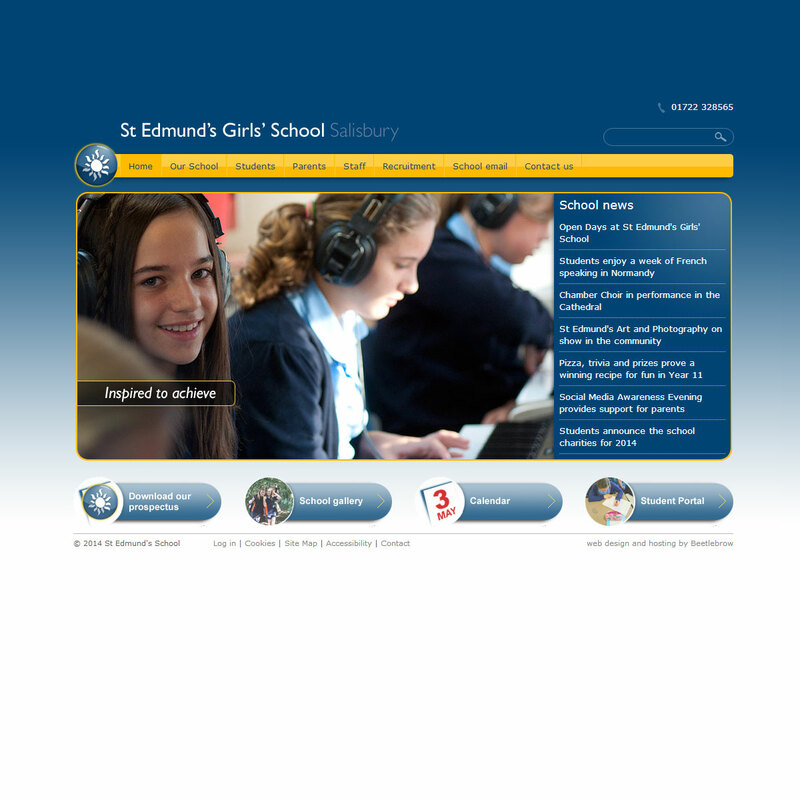 St Edmund's Girls' School in Salisbury has excellent results working with the comprehensive sector, but its web site and logo were all too typical of school's web sites. It was outdated and tricky to maintain, and the branding did not make the most of the elements it contained. Beetlebrow is a Salisbury-based firm, which has worked with several schools to give them a more original and inspired web presence than the standard school fare. First of all we took their existing logo and tidied it up and gave it a contemporary feel to better reflect their status as an academy. Next we used the revived logo as the basis for a radically redesigned web site, which makes great use of the latest in web technologies to display the content of the site in an attractive and informative way, with slideshows, galleries, FAQs and latest news all featuring prominently. The CMS has proved so easy to use, that after one short familiarisation session, St Edmund's staff have added a large amount of content and re-organised it into a very easy-to-use web site.